Chapter 111. Gu Hui Meets Cho Ryu Hyang. The middle-aged man who said this as he walked out was Gongson Chun Gi, the leader of the Heavenly Demon Church. Jeon Bak shrugged as he opened his mouth. Gongson Chun Gi looked at Jeon Bak fiddle with his abacus and smiled. Jeon Bak was thankful towards the heir for taking care of the salt issue, as well as for becoming the heir of the church. In his eyes, Cho Ryu Hyang was a savior. Despite what he said, Gongson Chun Gi had a proud grin on his face. Because of Cho Ryu Hyang’s achievements, he had been hearing all sorts of praises for his disciple from his peers. Gongson Chun Gi acted like it was nothing every time he heard it, but he was secretly enjoying all the praises. Jeon Bak looked at the Pope for a moment, he put down his abacus, and opened his mouth. Jeon Bak made a confused expression. According to his sources, the power that the enemies possessed was far greater than the one the church possessed. It would be stupid to fight them head-on. Surprisingly enough, the heir decided to confront them. It was a stupid illogical decision. Gongson Chun Gi realized what Jeon Bak was thinking and smirked. Gongson Chun Gi sat down on a boulder near the carriage and continued talking. Jeon Bak made a face full of disbelief. Who was Gongson Chun Gi? He was the person who reached a level that no one else in this world could reach. But as Gongson Chun Gi wasn’t a person who’d lie about such things, Jeon Bak’s face was again filled with confusion. Gongson Chun Gi put a cigarette to his mouth as he watched this and smiled. Gongson Chun Gi chewed on the cigarette while he grinned playfully. Jeon Bak shook his head as he watched Gongson Chun Gi grin evilly. It didn’t really matter whether or not the Pope’s words were true. Let’s just say that Gongson Chun Gi was exaggerating a little at the moment. Even if that was the case, the heir’s power should be enough to block off an attack from the Four Powers. First, it would announce the heir’s presence into the martial world. This would be an event big enough to shake the entire world by its roots. And so, the event that was to be known as the Second Alliance-Demon War would begin. Gu Hui stopped walking and began to look around himself. He frowned, put his right hand up into the air, and balled it up into a fist. With that signal, the martial artists of the Nanman Beast Gate came to a stop behind him. How did he not realize it? It was strange for him to not recognize a path that he had just walked through. He had never made such mistake before. Gu Hui closed his eyes. After a moment, Gu Hui opened his eyes into small slits. He went back the path he walked through multiple times in his head. But no matter how many times he did so, he could not find any mistakes in the paths he chose to go through. Then, there was only one explanation for this phenomenon. Gu Hui looked around himself with bright eyes. This might be possible if this was done by the person who made the formation. This must mean that the creator of the formation was paying attention to him the most, but wouldn’t that be a huge risk? Gu Hui made a concerned face. He decided to review the invisible enemy in front of him once again. Was it because he was being too obvious in getting through the formation? Things would become annoying if the creator of the formation became wary of him. Gu Hui clicked his tongue. If he had a bit more time, he probably could have gotten through the formation. The formation that he was currently in was indeed amazing. But as Gu Hui had an immense power that stemmed from his martial arts skills, he should be able to break through the formation sooner or later. After all, he already passed through two of the barriers of the formation, did he not? If the creator of the formation involved himself with Gu Hui, it would make things much easier. Just catching the creator would change the flow of the battle entirely. He needed to confirm his thoughts. The way to do this was simple. If the creator was watching him, then Gu Hui would just have to create a situation where the creator would have no choice but to move. When Gu Hui said this, the martial artists of the Nanman Beast Gate began to walk forward. Gu Hui got in the middle of the group, and kept his guard up; he was looking for a chance to attack. He put down his hands and slowly walked with the rest of the group. The fingers of his hands began to let out tiny strings of energy that scratched the ground softly. Gu Hui looked at this carefully, and whenever the strings changed direction, he directed the group towards the way the strings were going. Cho Ryu Hyang became amazed as he saw this. Cho Ryu Hyang pushed his glasses up as he observed Gu Hui. It seemed that the other side had noticed his presence. Cho Ryu Hyang was a little surprised to be found out like this. But what was even more concerning at the moment was the way that this person was trying to get through the formation. He was trying to use the simplest, but the most reliable method of breaking through formations. If he did, he would just prove to the other side that he was watching. After thinking, Cho Ryu Hyang made a decision. It was hard to hide his moves like this anyway. Plus, the situation might worsen if he let someone like this be. Therefore, he needed to fight the man now. Cho Ryu Hyang took one of the stones on the ground, and pulled it up. The view around him shook for a moment, and he, along with Gu Hui, began to fade from the scene. Around the time when Cho Ryu Hyang thought this, Gu Hui had come to a stop in his tracks. His eyes, along with that of the martial artists, all pointed upwards. Gu Hui had a slight smile on his face. A giant door had appeared in front of them. If this wasn’t a challenge for them, then what else? He could feel the other side taunting him to get inside. This made him laugh. If he didn’t accept a challenge like this, he wouldn’t be a man. The only way one could catch a tiger was to get into its lair. Gu Hui opened the door and walked in. He was greeted by two people inside. Inside the gate was an empty space filled with mist. Within this mist was a boy in glasses and a man wearing a mask. The masked man was a harmonious expert. A strong one, at that. The man wasn’t mature enough yet. Things might change given time, but right now, the man was weak. Gu Hui turned to the kid. Gu Hui opened his mouth. Cho Ryu Hyang nodded without saying anything. As he had thought, the boy was the heir of the church. Why did the boy reveal himself? The intent of the other side wasn’t important. The battle was already over, after all. It was an honest, and straightforward situation. Cho Ryu Hyang didn’t seem intimidated at all by this, however. He simply responded dryly back to the man. Not anymore, now that he was within Gu Hui’s sights. Gu Hui’s presence began to get stronger. At the same time, the mist around him disappeared completely. Un Hui flinched at this time. His instincts were going wild. Right now, this entire area was within Gu Hui’s control. It would be impossible to ensure the safety of the heir if they continue there. But Un Hui was unable to move. This was because Cho Ryu Hyang had given him a ‘command’ before they came in here. Because of this command, Un Hui wasn’t able to do anything. If he just extended his hand now, the boy would die. The mission would end that easily. It was pretty hard to get here, even with this many martial artists. The battle wasn’t that easy when he took this into account. 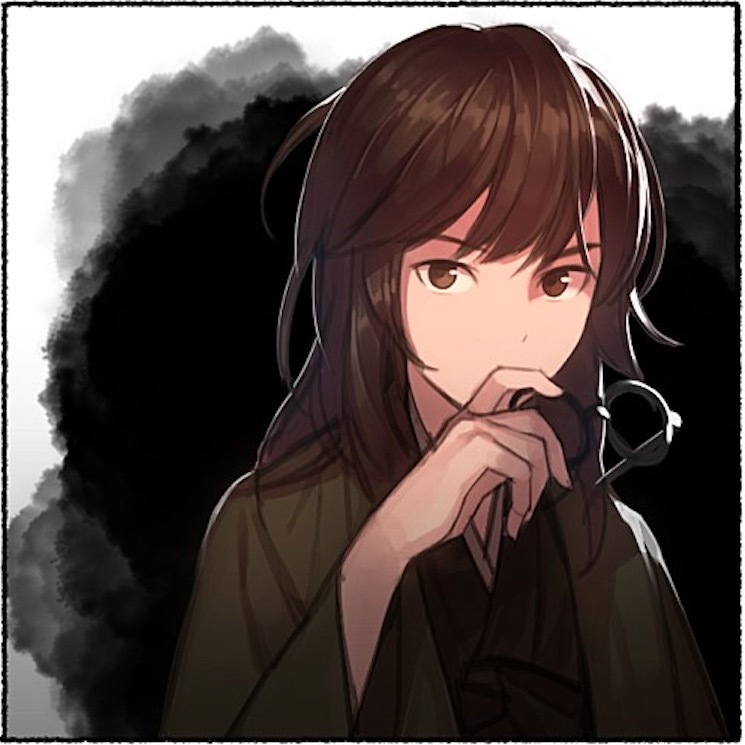 Cho Ryu Hyang, who managed to read a bit into Gu Hui’s mind, smirked, and took off his glasses. Does the man not know that he still had plenty of cards on his sleeve? Cho Ryu Hyang expected something like this to happen, but it was still annoying. After putting his glasses in his sleeves, Cho Ryu Hyang opened his mouth. Gu Hui’s eyes began to tremble. Was he even aware of who he was talking to? When he stretched out his hand to take away an arm from the boy out of anger, Cho Ryu Hyang spoke. Cho Ryu Hyang drew a line on the sandy floor under him. Gu Hui observed this and looked back at Cho Ryu Hyang. Cho Ryu Hyang thought of something that was far from being a human and smiled. He had fought to death with a monster that was worse than Gu Hui in the past. Gu Hui looked coldly at Cho Ryu Hyang’s smile. He was absolutely full of killing intent. I just love how he is a little badass, like really… Who would believe a kid like him? But then he proves them wrong again and again!